Every life has a price in Scott Reintgen pulse-pounding new sci-fi adventure, Nyxia, as a group of teens are taken to the far reaches of the universe and forced to decide what they're willing to risk for a lifetime of fortune. First Thoughts Nyxia has been on my radar for a long time. It's genre has increasingly become more frequent on my bookshelves and with my huge love for the 100, this looked like it could fill that void in my bookish heart after finishing the series so far. When I was given the oppertunity to read NYXIA (thank you, Beth! ), I jumped at it, obviously. And I even have a code for you guys to use for money off Little Wren UK - an Etsy store with the cutest designs! Check out the bottom of this post for all the info you'll need for that! My Review Emmett Atwater is given the chance he could only dream of in this near-future dystopian masterpiece. Along with nine others, he's given the opportunity by the Babel Corporation to compete against each other to get to Eden - a new Planet; a place that only eight of them can make it through to. But Emmett knows that something about it doesn't feel right and doesn't sit well with him. The other recruits aren't wealthy, either, and they want this just as much. Still, he knows that if he doesn't win, his life won't improve. He wants to save his Mother's life and get back on the right track. But as he becomes close to the other recruits and feelings get tethered, along with suspicions about Babel, Emmett isn't so certain anymore. One thing is for certain with NYXIA, and that is that it's life changing. It's got this certain thing that just makes it so likeable and I couldn't put it down. There's the huge diversity which is a huge plus for me because it's about time that there was. Another, is that all the characters had functional and meaningful places in the novel and they didn't just feel like secondary characters. I could bond with them, and Emmett, in the same way that you like to when reading a book. 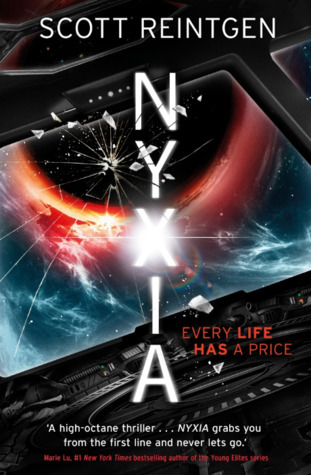 Overall, NYXIA is a must-read for fans of the 100, The Hunger Games, and Science-Fiction lovers. I cannot wait for the next novel, Scott. It was unpredictable (in the best way), brilliantly paced, had characters that were flawed (and showed their true strengths and weaknesses) and made me turn pages fast and root for them. It had me totally fixated on the inner workings of the bigger picture, also. I dare you to not be a fan of Nyxia by the time you're finished. Huge five stars! 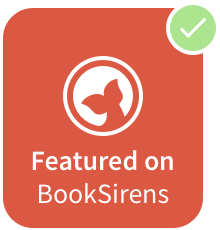 Rating & Recs For fans of Dystopia, Science-Fiction and Fantasy! Pretty Little Memoirs readers and NYXIA fans! The discount code for Little Wren is: LWNYXIA10. and it's valid for 10% off everything in the shop with orders over £10 and it's valid till the end of October. Perfect to pick up a few new things for yourself or for someone you love for Christmas!